The production of OLED screens is proving to be a real headache, says Paul Gray, director of TV research at consultancy DisplaySearch. He says that factories are only getting one good panel out of every 10 panels at 55-inches. “Production problems are making it very, very tough,” he said. “There was a lot of hype about OLED last year and it will improve over time, but it will be painfully slow.” Gray claimed that in comparison to OLED, LCD was a fast moving target. 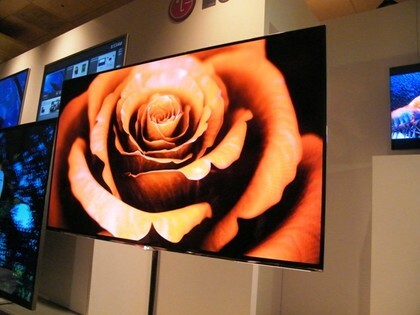 “OLED also has to fight a mature product such as LCD which is going through incremental innovation. We believe OLED will get there eventually, but not yet for a long time for ordinary customers.” Gray estimates there will be only a modest 50,000 units manufactured this year growing to 300,000 units next year globally.